Hi agents! How about season 2 chapter 1 to 3. Playdom is going to release Marvel Avengers Alliance Season 2: Chapter 4 very soon. Season 2 chapter 2 is coming with some new feature. In this post we are going to exclusive upcoming update of store. Season 2, Chapter 4 is finally upon us, and with it comes many exciting developments, including Level 14, which introduces a new way to upgrade heroes, Augmented Iso-8. 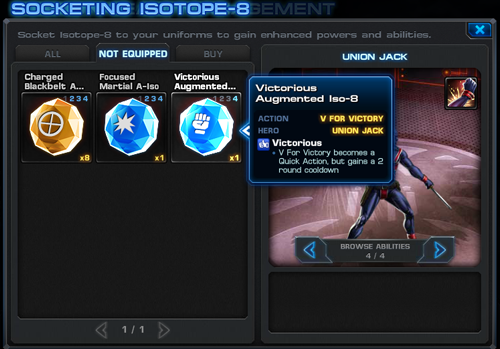 The goal of Augmented Iso-8 is to offer players another vector for customizing heroes. 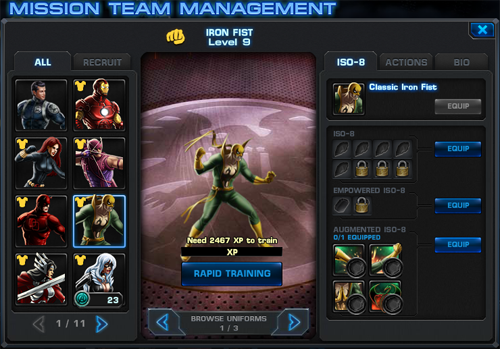 While basic Iso-8 modifies a hero’s stats and Enhanced Iso-8 grant new passive effects, Augmented Iso-8 allow a player to customize a hero’s individual moves. After two years of studying the effects of Iso-8 in the lab, Hank Pym and Reed Richards have discovered how to engineer Iso-8 that can safely augment heroes’ natural abilities. 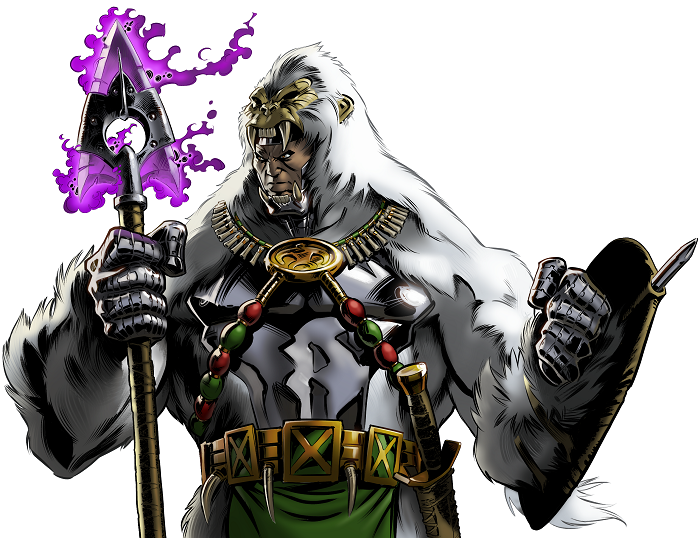 This Augmented Iso-8, or A-Iso, can be attached to a hero’s move, giving it new properties. Each Augmented Iso-8 can only be equipped to a certain kind of move, however. One might only modify Unarmed attacks, while another might modify only Energy attacks. Certain Augmented Iso-8 can only be used by a specific hero to modify one of their signature moves. 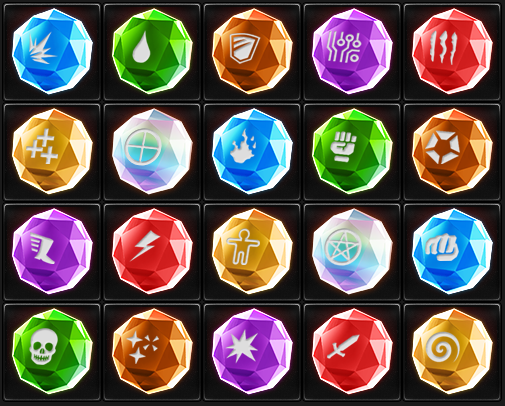 Each of a hero’s four move slots has one slot for an Augmented Iso-8. 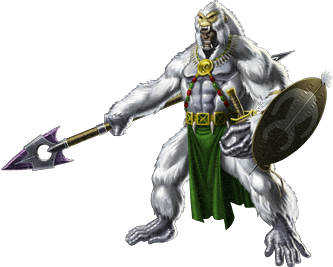 At level 8, a hero can equip one Augmented Iso-8 onto one of their moves. This can go into any move they have unlocked, but they cannot have more than one move equipped at a time. However, players can safely unequip Augmented Iso-8 from a move at any time, allowing them to equip a different move. At level 14, they can equip all four moves. This gives players a chance to experience Augmented Iso-8 early on, while still creating a powerful incentive to reach max level. 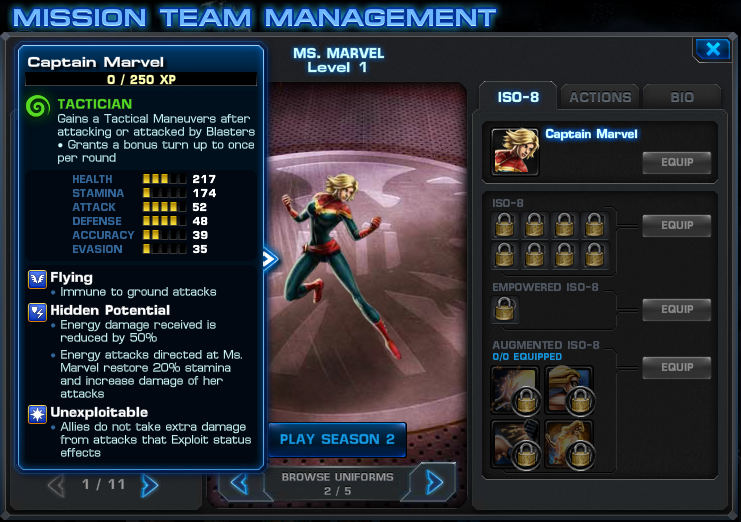 See the next image for an example of a Level 9 hero’s Iso-8 tab. As you will notice, it says “0/1 EQUIPPED”. For a Level 14 hero this will say “0/4 EQUIPPED”. Generic Augmented Iso-8 will be available from deploys across Season 2 and in the store along with a selection of premium Augmented Iso-8. Hero-specific Augmented Iso-8 is dropped from boss battles where the hero is a cameo. While the initial offering of Augmented Iso-8 is limited, each new chapter will add more. We also plan to go back to previous chapters of Season 2 and add Augmented Iso-8 to the boss roulettes for the cameo heroes. This will be in a future patch after the release of Chapter 4. 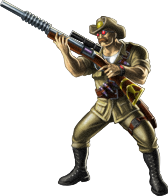 For heroes that have multiple actions per action slot, an Augmented Iso-8 will affect every action in that spot, assuming that all the moves satisfy the requirements for the equipped Augmented Iso-8. 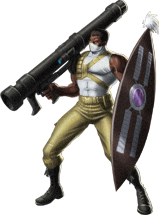 This includes heroes that change classes like Omega Sentinel and Punisher as well as those with Mulit-Function moves. 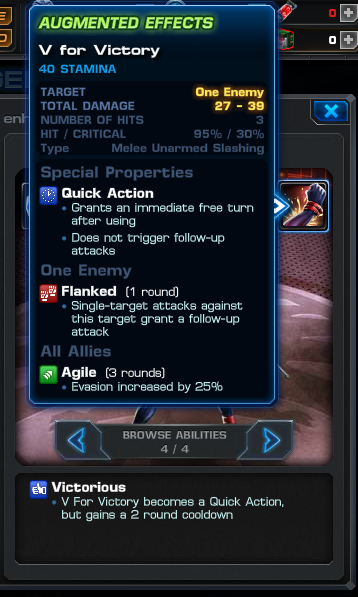 Certain moves such as Omega Sentinel’s and Punisher’s class change moves cannot have Augmented Iso-8 attached. The Agent does not gain any Augmented Iso-8 slots. We find this a reasonable compromise as the Agent already has unparalleled opportunity to customize their move set with an enormous selection of gear. Some of the Empowered Iso-8 we released in the past have had similar effects. When possible, we will be phasing these out and replacing them with Augmented Iso-8. To keep their purposes distinct, we want to make sure that Empowered Iso-8 are used to give new passive effects to heroes while Augmented Iso-8 are used to modify a hero’s moves. Examples of Empowered Iso-8 we plan on changing to Augmented Iso-8 are Black Panther’s Flashing Empowered Iso-8 and Phoenix’s Consuming Empowered Iso-8. Speaking of Empowered Iso-8, here’s a list of characters that are getting new ones with Chapter 4’s release. We’ve listened to community feedback and gone back to old chapters to add Empowered Iso-8 to Heroic Battles that feature lockbox characters as villains. Check back tomorrow for more exciting updates on Season 2: Chapter 4. 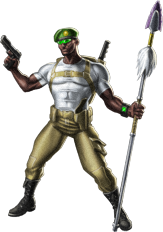 This post is originally written by Marvel: Avengers Alliance Developers Team.